Princesses are going for a journey in Paris. Help them to spend their free time with fun. 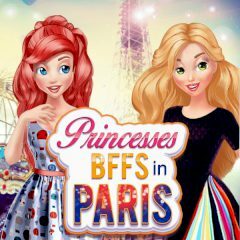 Princesses travel to Paris to have fun and they know what they will do in the evening. Well, in order to show off you need to dress up and be unique!